Working memory is the cognitive system in charge of the temporary maintenance of information in view of its on-going processing. Lying at the centre of cognition, it has become a key concept in psychological science. The book presents a critical review and synthesis of the working memory literature, and also presents an innovative new theory - the Time-Based Resource-Sharing (TBRS) model. Tracing back the evolution of the concept of working memory, from its introduction by Baddeley and Hitch in 1974 and the development of their modal model, Barrouillet and Camos explain how an alternative conception could have been developed from the very beginning, and why it is needed today. This alternative model takes into account the temporal dynamics of mental functioning. The book describes a new architecture for working memory, and provides a description of its functioning, its development, the sources of individual differences, and hints about neural substrates. The authors address central and debated questions about working memory, and also more general issues about cognitive architecture and functioning. 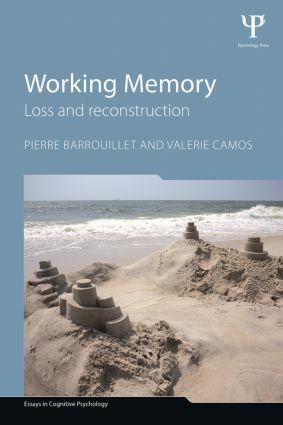 Working Memory: Loss and Reconstruction will be essential reading for advanced students and researchers of the psychology of memory.